HSO 1972 Formula 5000 1.0 mod for rFactor. Formula 5000 was an international single-seater formula that was created by the Sports Car Club of America (SCCA) in the late 1960s, in a effort to promote F1-like road racing in America. The SCCA came up with an equivalency formula, limiting the category to cars powered by either 3-litre pure racing engines (the F1 limit since 1966) or 5-litre production-based engines. The 5-litre limit was aimed at Detroit iron such as the Chevrolet and Ford V8s. Originally known as “Formula A”, the formula was soon adopted as “Formula 5000” in Great Britain, thanks to John Webb and the British Racing Sports Car Club (BRSCC) who organised the first British series in 1969. The motor racing authorities in Australia and New Zealand, who were looking for a replacement formula for their ageing 2.5-litre Tasman Formula, also embraced the Formula A/5000 road, as did South Africa and Canada. By 1972, Formula 5000 was a well established category on the International racing scene, with top constructors such as Lotus, Lola, McLaren, Surtees, Chevron or Eagle all building and selling cars worldwide. 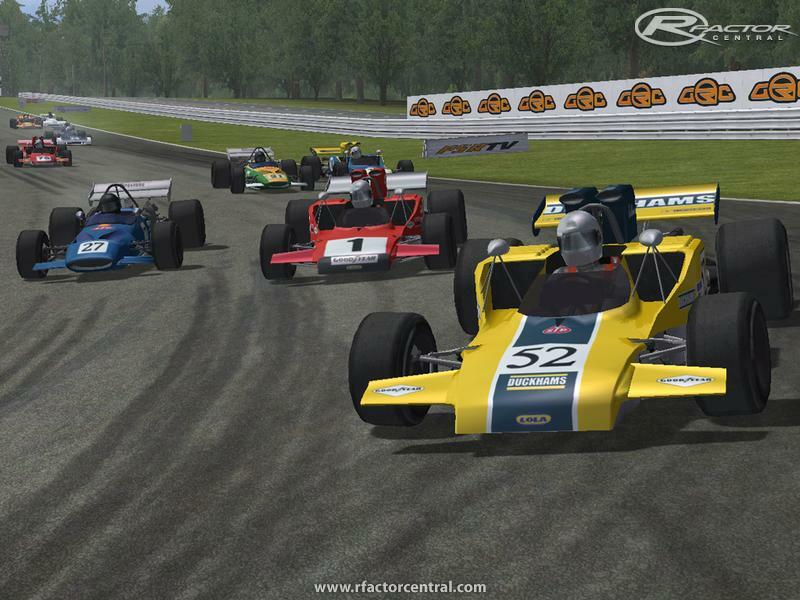 The prestigious Tasman Cup Series which opened the season, and the lucrative SCCA Continental Championship in the USA were the most sought after and competitive F5000 series. The British-based European series had been struggling in its first three years with low fields and dull races, but 1972 saw a step up in prestige with bigger grids and more competitive entries. 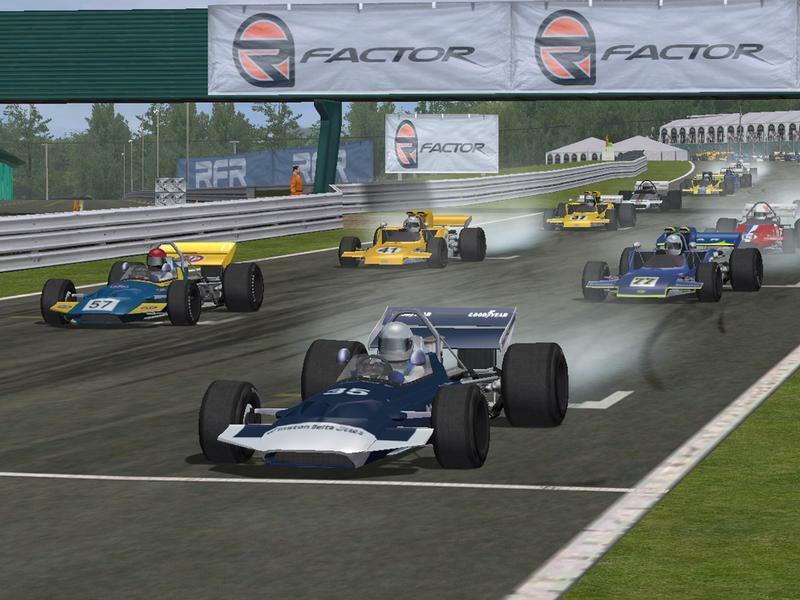 South Africa was another hot spot for F5000, with a dozen cars mixing it with a handful of F1 cars for the South African Championship honours. 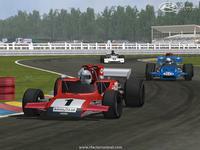 This mod is based on the 1971 and 1973 mods by Dave Sabre, which we have used (with permission) to create a 1972 field. All the physics have been redone from scratch, and many additional skins have been created as well. Two tyre brands are represented : Firestone and GoodYear. 36 combinations of chassis/engine/tyres are available and the mod features 46 different cars. The top chassis are the Chevron B24, Lola T300 and Surtees TS11, with the McRae GM1, Surtees TS8, McLaren M18 and Matich A50 a bit behind. The average cars are the Begg FM5, Elfin MR5, Lola T192, Lotus 70 and McLaren M10B, while the underpowered Crosslé 15F and the fat Lola T190 are the slowest ones. This chassis hierarchy is somehow modified depending on the engine in the back of the car. The best engine was the V8 Chevrolet, but several tuners had their go at it, with various results. The mod’s most powerful Chevy is the Swiss Morand version, with the Alan Smith one not far behind. The two tyre brands also influence the cars’ performance. Firestones are a bit quicker than GoodYears but will tend to fade away faster as the race progresses. One could describe a Formula 5000 car as an overweight F1 with a Chevrolet Camaro V8 engine in it. The main characteristic of the engines is their fabulous torque. In fact, such was the power available that F5000 drivers only used first gear to get out of pits - race starts were usually taken in second gear ! Power is available from very low in revs and there is no need to push the engine to its limit to go fast. Engines are by the way very sensible to over-revving and you must be very careful not to hit the red line if you want to finish a race. As most F5000 cars were customer cars (the constructor selling some to private teams), the general trend was to built simple, solid and easy to maintain cars. 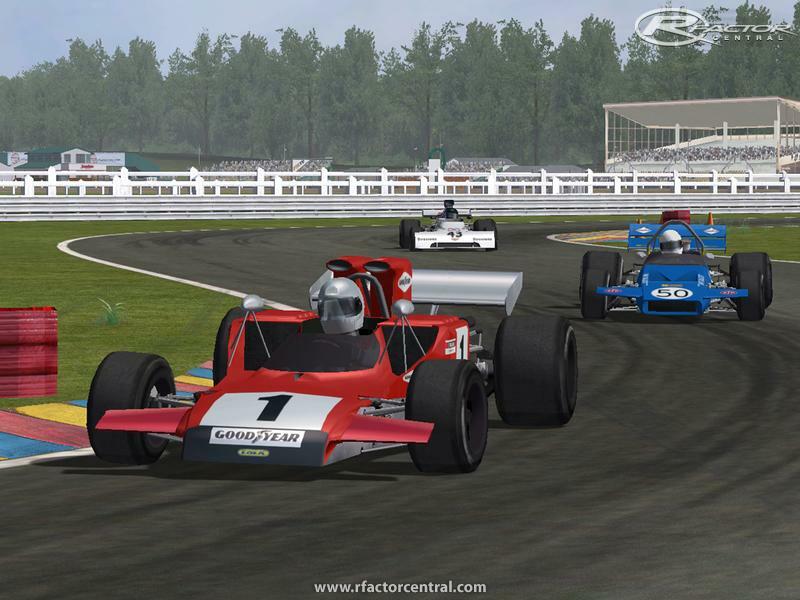 The F5000 chassis bears much ressemblance to a contemporary F1 chassis, with similar dimensions, construction type, suspensions and gearbox, but was built along more simple lines and with longevity of each element as the main concern. It also shares with a period F1 car that fabulous characteristic every decent racing car should have : its engine delivers more power than the chassis can decently handle ! Aero and mechanical grip are limited, and the name of the game is sliding. However, as pleasant as it feels, four-wheel drift is not always the fast way and we hope you will find the challenge of finding the right balance between sharpness and style to your liking. Compared to F1, the other main difference is the extra-weight, which accounts for much of the gap between the two categories. 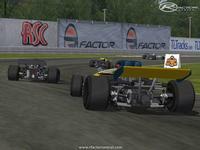 Being heavier, the F5000 is less nervous, probably easier to handle, but much less efficient in the turns. It is particularly lazy entering slow corners, and you usually won't get two chances at getting the apex right ! Many thanks to Dave Sabre for putting up so much work into a great historic mod, and for allowing us to use his great 3D work. We also would like to thank the members of the HSO Modding Team for all the time and passion put into this mod. 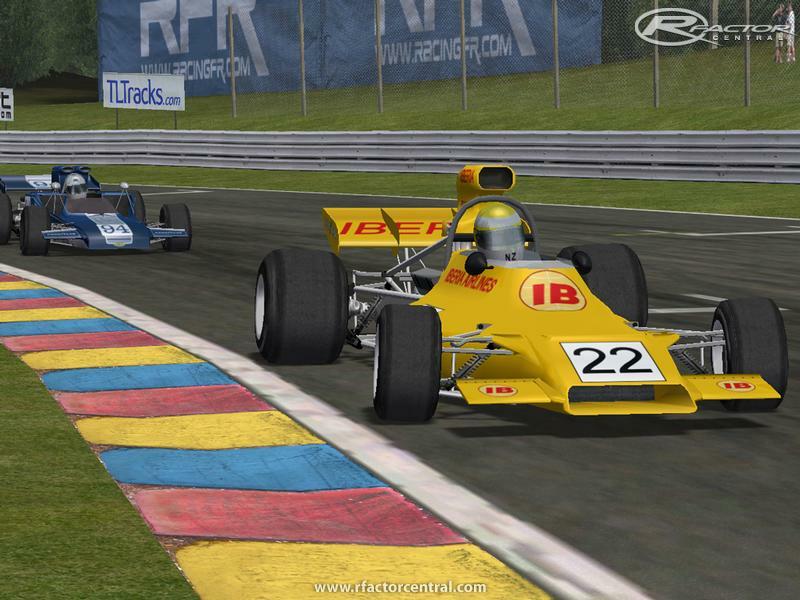 Special thanks to Allen Brown, webmaster of http://www.oldracingcars.com/ for all his work on F5000 in general, and for helping out on car specs in particular. HSO physics and overall project manager : Guillaume Siebert. Research, data, humour & style : Frank Verplanken. Additional skins : Gianluca Desposito, Carl Larrad, Guillaume Siebert. Beta testing : Gianluca Desposito, Carl Larrad, Jukka Maattanen, Tiago Malafaya, Karel Marciniszyn, Steve Parker, Pierre Pfleger, Carlo Pozzi, Guillaume Siebert, Frank Verplanken. Moral support : Martin Audran, Antoine de Mautor. 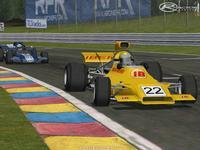 There are currently no setups for F5000 1972. Add a Setup. 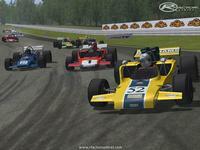 There are currently no car skins available for F5000 1972. If you are a painter you can share skins for this mod via the Car Skins area. Visit the Spray Booth for painting tips & tricks. 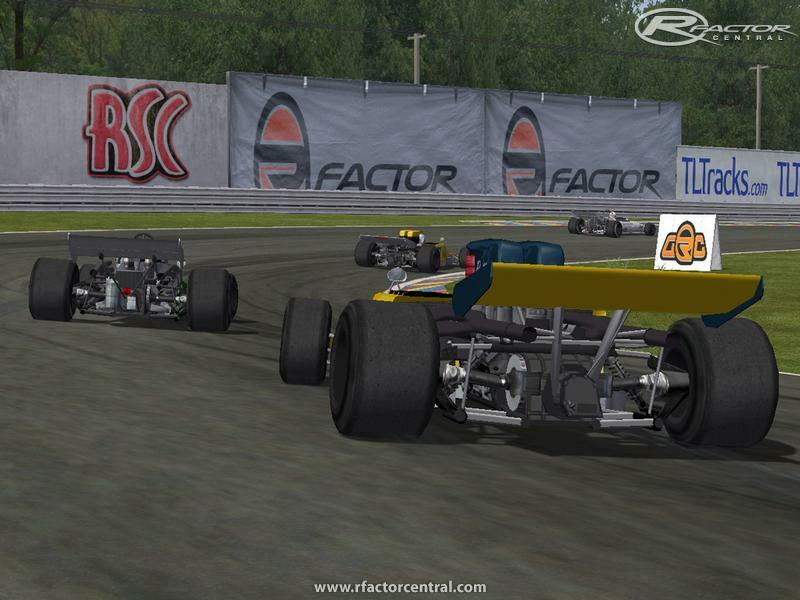 Jan 2018: New season of Formula A, St-Dave follow up of the formula 5000 mods. The Lost Heaven Racing Circuit is a large automobile racing circuit in Lost Heaven thats featured in Mafia. Brilliant mod but my only gripe is that the same cars represent different models. The McRae GM1 is also the Matich A50, the Elfin MR5 is also a Surtees and one other that I can't recall atm (some cars may have looked similar IRL but they weren't). Other than that its great. Steering with the throttle using a Playstation like game pad takes some getting used to but this mod is pretty addictive. My car setups are ok at best, does anyone have any good ones? Especially for the real world Aussie, Kiwi, US and British tracks where they generally raced back in the day? Absolutely fantastic mod, very well done. The link for the 1.1 patch is not working. I think this is one heck of a great MOD!!! Sounds included! I really like being able to steer with the throttle. It takes some patience and practice to appreciate how these cars handle, but it worth it. One of my Hall of Fame nominees this year!!! Thank you! I saw the 5000's race way back when. They indeed had a deep, throaty sound. They sounded awesome. Was sitting on a short straight and one driver stood on it. Gave me goose bumps..